Call our office at 303-456-2128 to set up your showing today! Savor the charm of Colorado in this community! River Run neighborhood is featuring a beautiful open floor plan with ample natural light. This two-story home will not disappoint! Welcoming as you walk into living room with all newly installed hardwood floors throughout the main, open kitchen concept with eat-in nook which opens to the beautifully landscaped yard. Upstairs there are two secondary generous sized bedrooms and an impressive master suite with a master bath and walk-in closet. Garage is extra deep allowing for work space and parking. 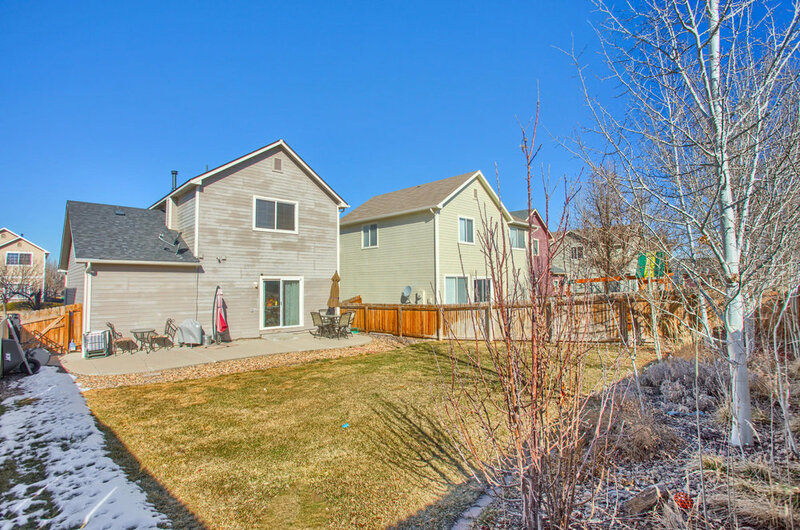 Close to school, shopping and trails. Easy access to highway systems.